Available through GLYN High-Tech Distribution , the Telit UC864-WD is a 3G wireless data module that has been designed to be fully compatible with Telit's GSM/GPRS and CDMA products. This enables integrators and developers to design applications once and make use of the global coverage and service flexibility provided by the combination of two of the most prevalent worldwide cellular technologies. 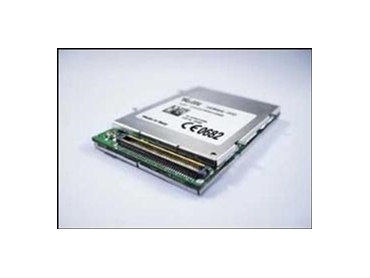 The UC864-WD 3G wireless data module operates at UMTS 900MHz / 2100MHz that is suitable for Vodafone and Optus. The data module is pin compatible and features the same compact form factor as the other Telit modules GC864 (GSM/GPRS) and UC864-G UMTS 850 / 2100 MHz that are suitable for Telstra and Telecom NZ. This simplifies designing an application board that can accept any of these three modules. With its compact design, and vast operating temperature range, the Telit 3G wireless data module provides a platform for medium-to-high-volume m2m applications and mobile data and computing devices. Additional features such as, integrated TCP/IP and UDP, a three channels ADC and one channel DAC provide extended functionality, adding value to the end application. The 3G wireless data module provides customers with global network coverage and is fully backward compatible to existing EDGE and GSM/GPRS networks through accomplished dualband radios. The extensive interface set, which includes IIC and user definable GPIO, offers ease of integration of peripherals and actuators. As part of Telit’s commitment to protecting the customer investment in developing and deploying Telit based solutions, the UC864-WD 3G wireless data module boasts a variety of functions for over-the-air maintenance and management of firmware and application software within the module. All Telit products comply to the RoHS (Restriction of Hazardous Substances) directive of the European Union (EU Directive 2002/95/EG).